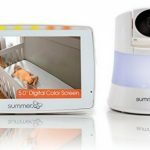 Around here we are all about one thing, finding the best baby monitor in the world. Sometimes that’s not always as simple as it sounds, because different monitors are good for different things and situations, and all parents have their personal preferences. 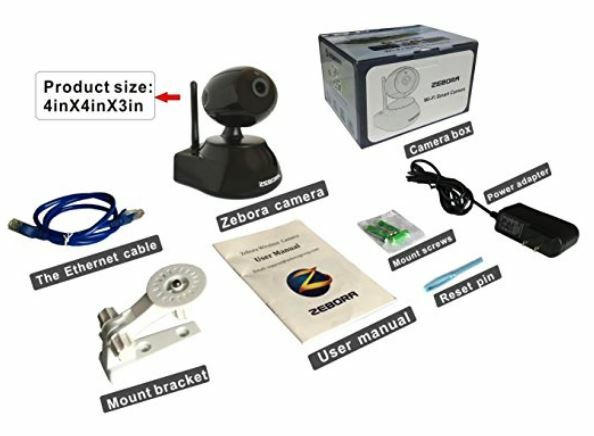 This grey area is exemplified when we talk about models like the Zebora Baby Monitor. It’s a perfectly functional for remote video, has 2-way audio, remote pan and tilt, and night vision, but lacks some of the features of other monitors (such as temperature monitors, lullabies, fancy lights, etc). It performs exceedingly well as a security camera, and has features that are specific for that purpose. For example, you can connect up to 32 (!!) cameras via the smartphone app. 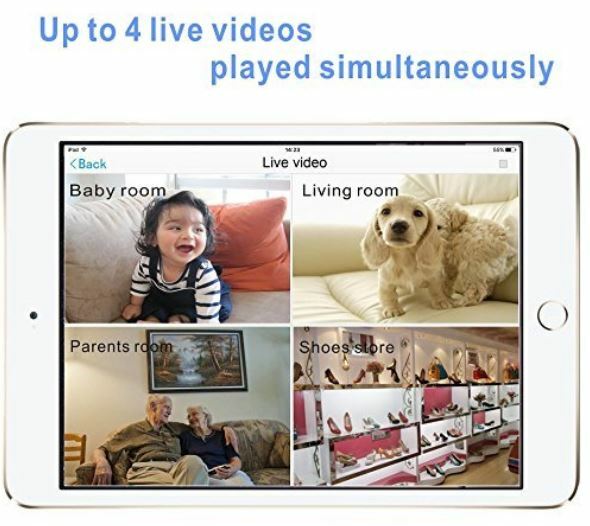 That’s crazy for a baby monitor (if you’ve heard of a parent with 32 babies, please let us know in the comments), but it starts to sound real useful if you are monitoring multiples houses or businesses. Remote Pan/Tilt – Like most of our favorite video monitors, this model allows you to remotely pan and tilt the camera via your iPhone or Android smartphone. 2 Way Audio – If it weren’t for the 2 way audio capability, this would like just be a security camera. However, it transends that label by offering high quality audio connections. 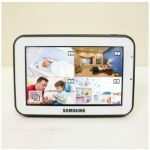 Price Range – This model is often listed at <$100, which makes it comparable in price to some of the lower end baby monitors, but it doesn’t sacrifice on quality at all. Really a steal at this price! 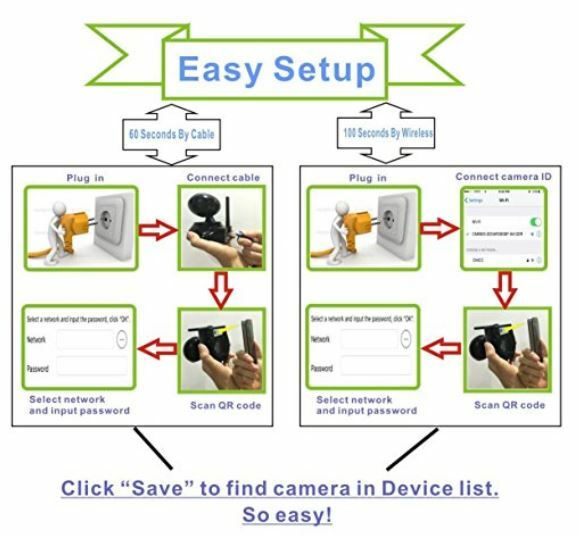 Re-usability – Because it’s meant to also be a high quality security camera, you can re-utilize the device for security purposes after your children are no longer in need of monitoring. 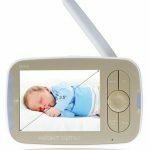 Image Quality – Coming from security camera roots, the HD quality video is perfect for capturing important moments, whether they are parenting or security related. No Temperature Sensor – Parents have come to love the ability to know the temp and even humidity of a room at a quick glance. This isn’t featured in the ZEBORA Super HD 960P. No Lullabies – There’s no musical feature of this device, although it does provide 2-way audio. Low Microphone Levels – Some users complained of low audio issues with the microphone. It doesn’t seem to affect people talking about other people (such as employees in a security camera setting), but can be an issue with a baby’s cries. 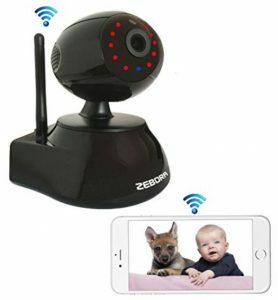 As you can probably tell, this model is an extremely high quality security camera with 2-way audio, and its features go well with a baby monitoring situation, but it’s lack of focus on parental needs means that is falls a bit short on some important elements and handy features. Nonetheless, at this price point its a definite steal and I wouldn’t fault any parent for picking it up.